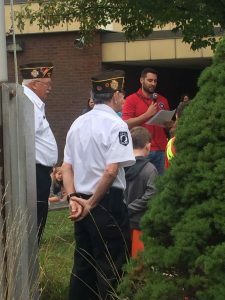 Together with VFW Post 133, Unbroken Warriors discussed Constitution Day with the children in Freehold, NJ and had them participate in a narrated flag folding ceremony. The students helped fold the flag while learning the significance of each fold. They also hoisted the flag on their school grounds. It’s awesome to see the children get excited to hear about our country’s heritage and why our flag and constitution deserve to be honored.